« Over-Configuring DBWR Processes – Part II. The list member was conflicted over the statement in Oracle’s webcast. It seems he had likely seen my blog entry entitled RAC Expert or Clusters Expert where I discuss the clusters concept of fencing. In that blog entry, and in the paper I reference therein, I point out that Oracle Clusterware doesn’t implement STONITH because it doesn’t. Oh boy, there he goes again contradicting Oracle. Well, no, I’m not. The quote from Oracle’s webcast says they implement their fencing using a “STONITH algorithm” and they do. The bit about remote power reset is splitting hairs a bit since the way the fenced node excuses itself from the cluster is by executing an immediate shutdown (e.g., Linux reboot(8) command). Kirk correctly points out that the correct term is actually suicide. Oracle uses algorithms common to STONITH implementations to determine what nodes need to get fenced. When a node is alerted that it is being “fenced” it uses suicide to carry out the order. Remote Power Reset. This technology is not expensive, nor spooky. In fact, here is a network power switch for $199 that allows SNMP commands to power cycle outlets. Academic (and some commercial) approaches use these sorts of devices when implementing clusters. A healthy server will simply issue an SNMP command to power off the ill server. Incidentally, not all servers that run Oracle even have a power cord (think blades) and some don’t even use AC (see Rackable’s DB Power servers) so Oracle couldn’t use this approach without horrible platform-specific porting issues. Remote System Management. There are a plethora of remote system management technologies (e.g., power cycle a server remotely) such as DRAC, IPMI, iLO, ALOM, RSC. Oracle is not crazy enough to tailor their fencing requirements around each of these. What a porting nightmare that would be. Oracle has stated more than once that there are no standards in this space and thus no useable APIs. The closest thing would have been either IPMI or OPMA, but the industry hasn’t seemed to want a cross-platform standard in this space. The lack of standards where cluster fencing is concerned leaves us with a wide array of vendor clusterware such as Service Guard, HACMP, VCS, PolyServe, Red Hat Cluster Suite and on and on. I had a lot of Oracle customers asking me to inform them of the fundamental differences between these various clusterware and Oracle’s Clusterware so I did. Gasp, Oracle Doesn’t Implement STONITH! Has anyone see a RAC data corruption due to Clusterware unable to shoot itself? 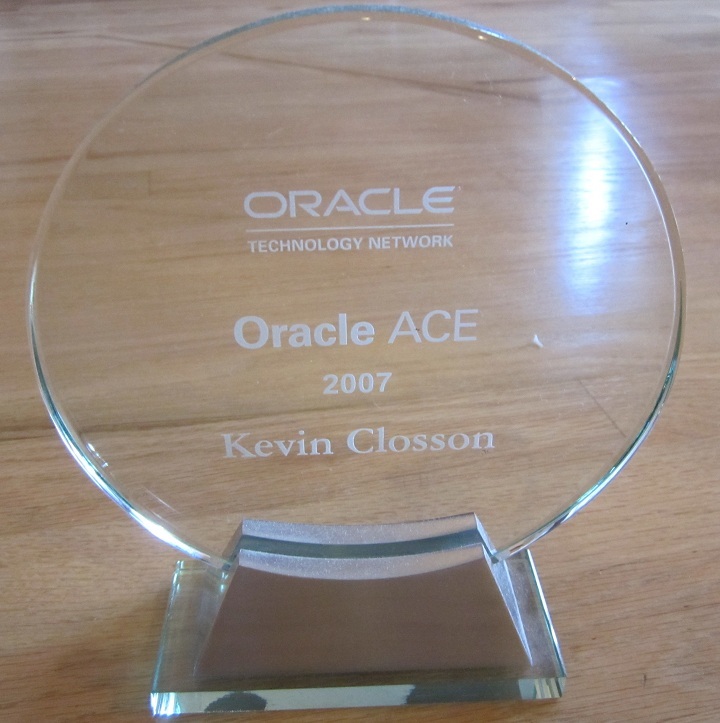 I can assure you all that if anyone reading the oracle-l list had such a testimonial we would have heard it. The oracle-l list membership is huge and there are also a lot of consultants on the list who have contacts with a lot of production sites. The thread dried up, dropped to the ground and died. I think what I just wrote mirrors Kirk McGowan’s position on the matter. No clustering approach is perfect. Whether STONITH, fabric fencing or suicide, clusters can melt down. That is, after all, why Oracle offers an even higher level of protection in their Maximum Availability Architecture through such technology as DataGuard. Failed Suicide. If for any reason Oracle’s Clusterware process is not able to successfully execute a software reboot of the ill server. Hangcheck Failure. The hangcheck kernel module executes off a kernel timer. If the system is so ill that these kernel events are not getting triggered then that would mean hardclock interrupts are not working and I should think the system would likely PANIC. All told a PANIC is just as good as hangcheck timer succeeding really. Nonetheless, it is possible that such a situation could arise. …and then there was silence. Thanks for rehashing and summarizing this topic, Kevin. As I mentioned to Kirk, I don’t think there are very many concise descriptions about Oracle Clusterware’s fencing mechanisms and the challenges surrounding fencing. I also wanted to point out that the webcast you referenced is one that was for the Oracle RAC SIG (http://www.oracleracsig.org/) and there are many more recorded webcasts there available for on-demand playback. Membership is free–just sign up on the site. Thanks for the high-quality, informative posting, as usual! It was me who posted that. My manager wanted me to dig me out some information about the oracle clusterware. Our shop got 80 percent of unstructured data. We wanted to have a cluster file system and cluster apps (the way done on VCS), not to deal with raw disks or ASM. Therefore, we wanted to know how fencing is done in the oracle clusterware. And the oracle sales guy was not even responding at all. Thanks for your blog, again.